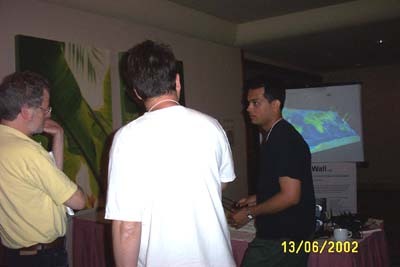 EVLer Atul Nayak and Paul Morin (University of Minnesota) took the AGAVE/GeoWall to the 14th Annual IRIS Workshop to show how the AGAVE can be used to visualize seismic activity with WiggleView. The Incorporated Research Institutions for Seismology (IRIS) is a university research consortium dedicated to exploring the Earth's interior through the collection and distribution of seismographic data. Support for IRIS comes from the National Science Foundation, other federal agencies, universities, and private foundations. 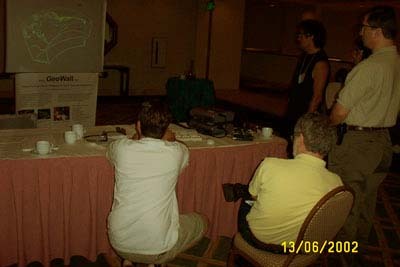 This was the first time that Wiggleview was demonstrated at a meeting.